Who doesn’t love the idea of getting their favorite pizza delivered home? If you’re a restaurateur delivering food to the location, it’s a win-win situation for you. You can cater to more diners than the sitting area in your restaurant allows, which means more business without additional investment into real estate. Let me give you an example, suppose, you run a little diner in your backyard that can accommodate 20-30 people at a time. Your average income per diner is $2 and every day you welcome 200 such diners, making an estimated $12000 every month. Now suppose you open your doors to home delivery and hire a delivery boy. The delivery boy delivers 30 food packets every day and you have set the minimum order amount to $10. Now, you’re making an additional $10000. Even if you deduct the expense on the delivery boy. This is still an incredible deal. Had you invested in additional real estate for the restaurant, that would have cost you anywhere between $40000-$100000. However, managing a food delivery business or any type of on-demand delivery business is a lot more complicated than the example above is. 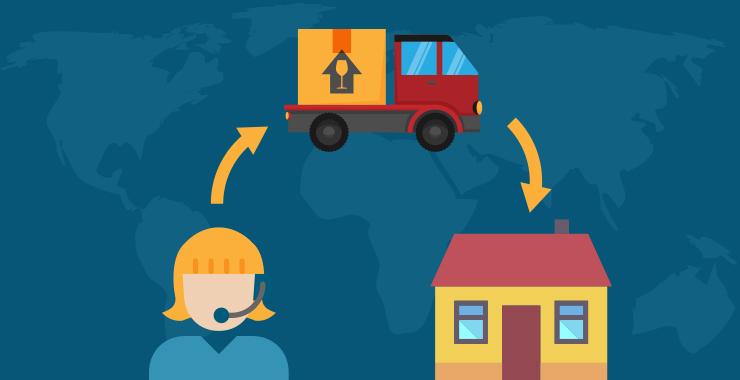 Let’s take a look at what it takes to run an on-demand delivery business. We have grown many times since the first pizza home delivery service started. What happened in the meanwhile is this that soon restaurateurs got overzealous with the whole idea of increasing business income without substantial investments. Every restaurant started some form of phone ordering business. It was so much booming that online orders soon took over diners sitting at the restaurant. Soon restaurants were getting far more order requests than their tele-callers could handle, kitchen could cater to or delivery boys could deliver. The growing competition means thinning profit margins. The system crumbled under its own weight and proved inefficient at the end of the day. Many restaurants capped no. of phone order they will take, thus, putting a full stop to the boom. In July 2010, an app-only taxi-hailing app was doing rounds in tech circle of San Francisco, at the heart of the Silicon Valley. Many called the app at the forefront of latest mobile and cloud technology revolutionary. The idea was simple rather than going to the taxi the taxi will come to you with a single tap on your iPhone. The ingenious idea soon infested other industries including the vulnerable food delivery and later professional services like plumber and baby sitter, even a doctor. By the turn of 2015, everybody from your local grocer to your favorite restaurant to the baby sitter who lives next door were part of one of the various on-demand marketplaces mushrooming on the app stores and catering to local businesses and professionals in your area. 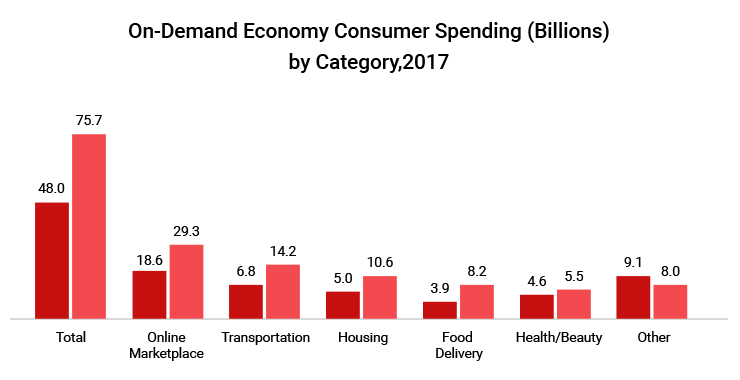 The decreasing cost of Android phone, a rising middle class, and affordable cloud computing services were the principal contributors to the reincarnation of on-demand delivery business. Soon, there was an Uber clone for every sort of thing or person whether a person wants a plumber to fix a dripping faucet in his living room, monthly grocery delivered at his place or taxi or Uber to head to the next meeting. 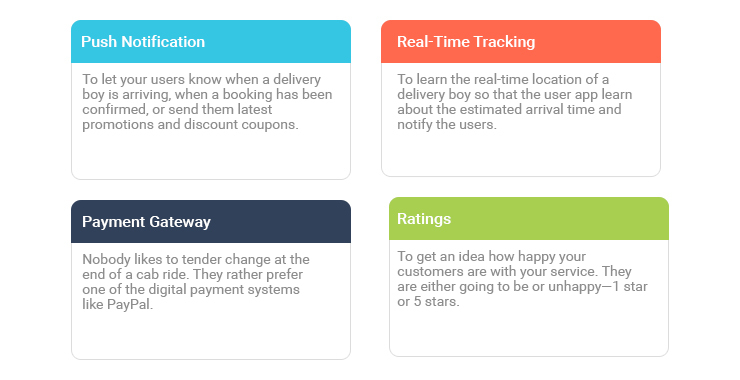 On-demand delivery apps are relevant because local businesses and professionals back them. Those apps are only the marketplaces that connect with the local providers or businesses. While the latter can work with the former, that is not the case the other way around. If you’re looking to enter the opportune market yourself, you’ll have an edge if you have influence in the local market. You need people to deliver what your users demand. If you’re a grocer, then you need delivery boys to deliver grocery. If you are cab company, then you need drivers to drive your cars around and if a home services provider, then you need a number of handymen ready to deliver services to your users. In a nutshell, you need to convince a lot of people to join your app-based marketplace before you seek an app developer to build the app ecosystem around your marketplace. What is Driving the Interest? At the center of on-demand economy, is a powerful ecosystem of mobile apps. No doubt, mobile app developers have been constantly busy since Uber came. There are all sort of startups keeping them busy and they have every reason to. 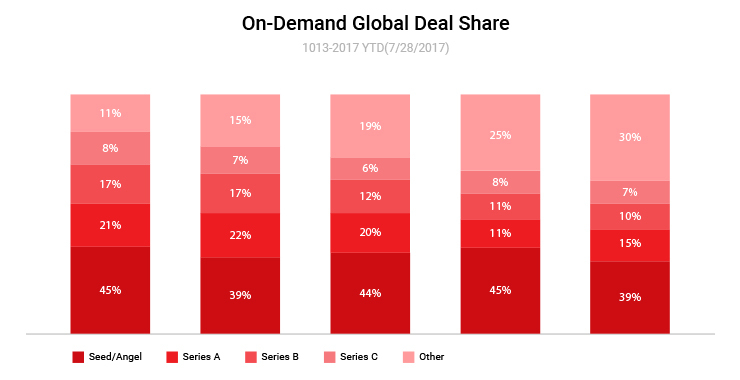 The investment in on-demand startups has grown more than 1400% from $74 Billion in 2014 to $10,293 Billion in last quarter of 2017. Moreover, an on-demand startup has better chances of capturing seed funding, a study by CBInsight indicates. Evidently, users’ spending in the on-demand mobile app economy is rising at unprecedented pace. The total spending from year 2016 to 2018 grew 58%, National Technology Readiness Survey. Some of the sectors that received the largest piece of pie were online marketplace, transportation, and housing. Food delivery, surprisingly, came 4th in terms of investment but grew maximum in the period, Rockbridge report suggests. 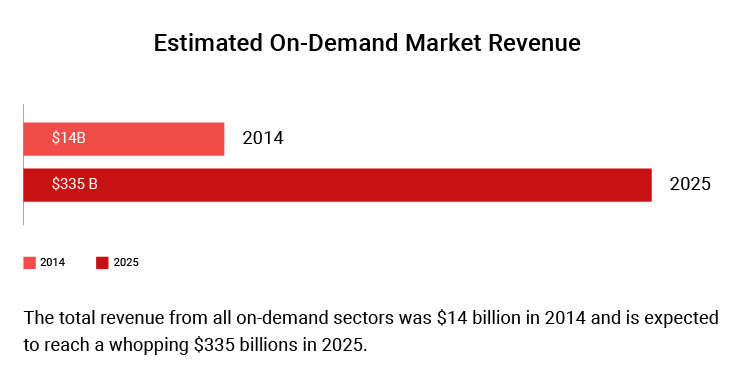 While those are great numbers, on-demand services won’t have existed in the first place had it not for mobile technologies and applications. If you have used Uber in the past, you know what I mean here. The level of convenience provided by apps like location awareness, turn-by-turn navigation, real-time locations sharing, in app chat and support and flexible payment options were unheard of before. The Uber you use to book taxis is only a part of the app ecosystem. 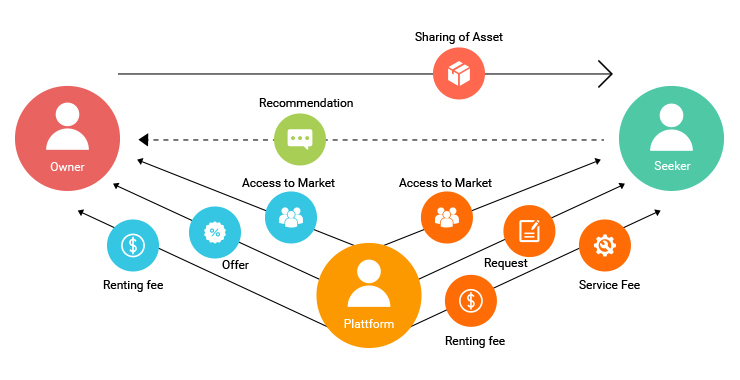 A larger part of the ecosystem is shared various players in the on-demand business and each role has a dedicated app. In on-demand delivery business, there are generally two sets of people involved in addition to the admin, manager, or owner. Of course, at the center are the end users, who originate the demand. Then there are delivery boys who fulfil those demands. Therefore, we need three apps: users, delivery boys, and merchants. Let’s take a look what their app look like. The user app originates the demand–what he or she wants. The app is simple, the users requests what he wants, when and makes payment—all in the app. Upon request fulfilment, he waits for the desired person to arrive and deliver him the thing or service. 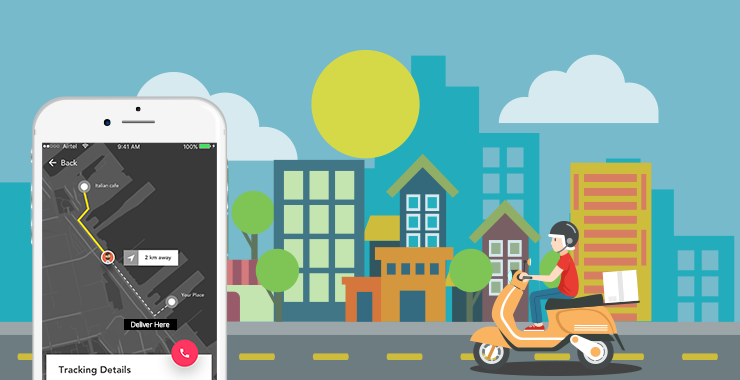 In on-demand delivery business model, the delivery boys either pick up an item from a user or drop off an item from a user to a hub. So when I want a parcel collected from courier company and delivered at my doorsteps I use their app. Alternatively, when I want a food parcel from my favorite restaurant to reach me. I ask a delivery boy to deliver it to me, who picks the parcel from the restaurant, which acts as hub here. If you think developing on delivery apps is too much on your side, you can ask us to. Our team of mobile app developers has an experience of developing tens of on-demand apps. Being a top ranked, an award winning mobile app development company, we have a global clientele and worked with more than 300 different clients since inception. 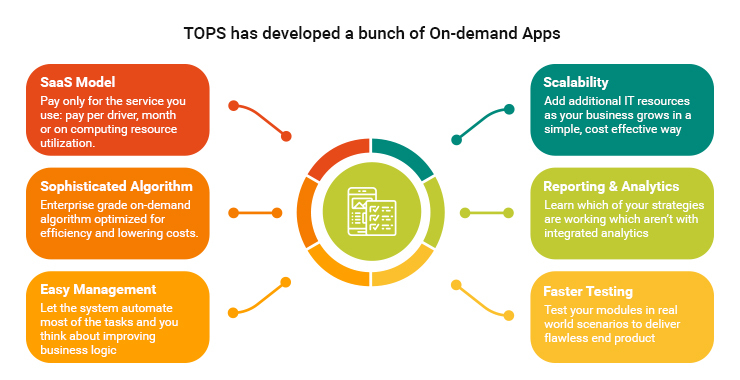 TOPS has the reputation of delivering end-to-end IT solutions to startups into on-demand businesses. Companies around the globe prefer us for faster development time, advancing on deadlines, transparency, cost checking, above all, top of the line support.